Dr. Rachel Monyoncho is a distinguished management consultant, trainer, coach and author with over 25 years of experience in human resources management and development, corporate strategy and governance , Leadership talent acquisition, training and development and executive coaching and mentoring in eastern Africa. She has both public and private sector experience, having worked for global multinational organizations like SmithKline Beecham, Kencell Communications ( Local Subsidiary of Vivendi International), Coca-Cola Sabco and G4S. She has been extensively trained both locally and internationally. She has certificates in adult learning, training course design and Advanced facilitation skills from Cambridge University U.K. She is also a certified internal auditor, certified behavioural coach and Personality Profiling Assessor (PPA). 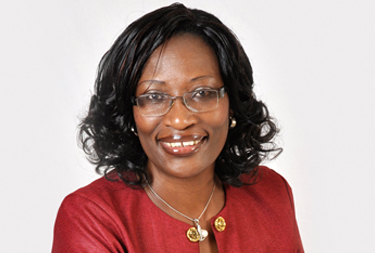 She has a PhD in Business Administration (Organizational Theory and Behaviour) and an MBA in Strategic Management. She has authoured a book entitled “The Leadership Dilemma” An African Perspective, which is published in Kenya.